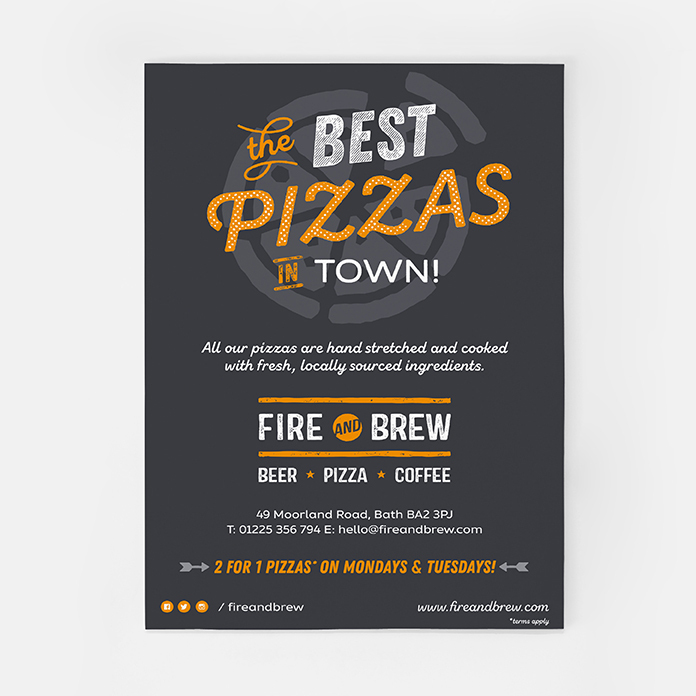 Share the post "Fire and Brew Print and Social Media Campaign"
I’ve been working with Bath-based pizzeria and beer bar Fire and Brew, since they first opened their doors a few years ago. 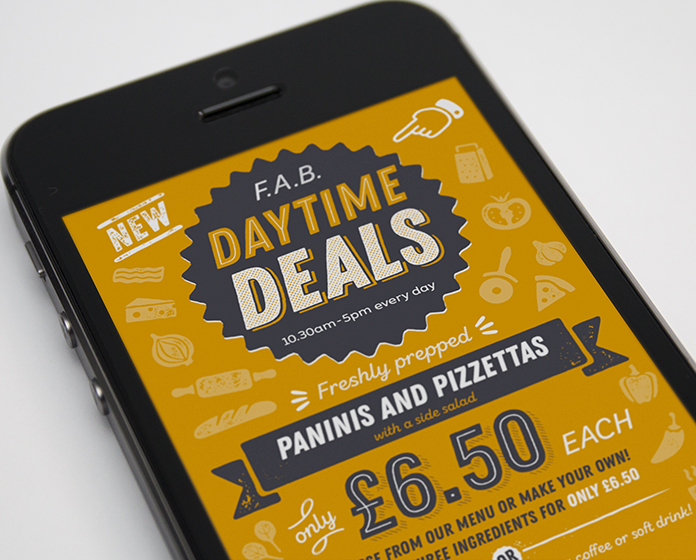 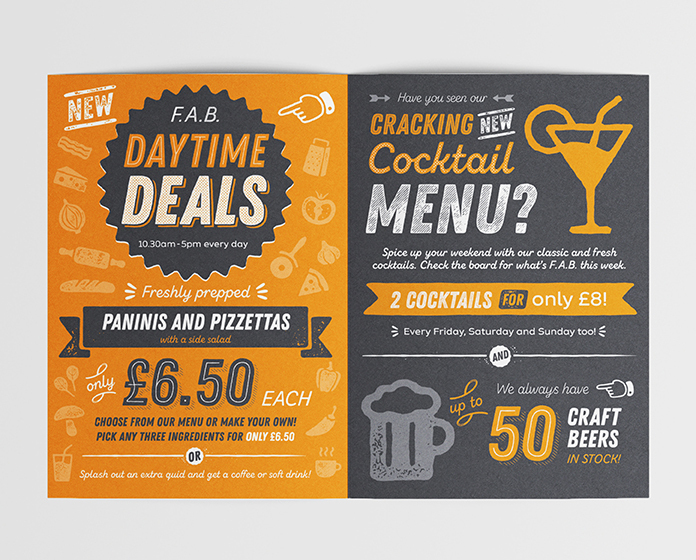 Here’s a look at their new F.A.B collateral I’ve just finished working on. 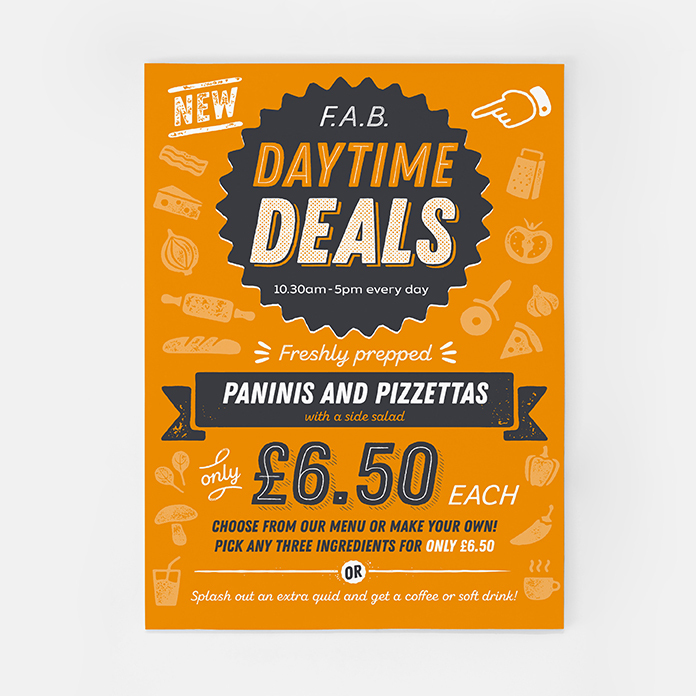 The idea behind the campaign was to publicise the new ventures the restaurant is undertaking, including venue hire, online-ordering, and outside catering. 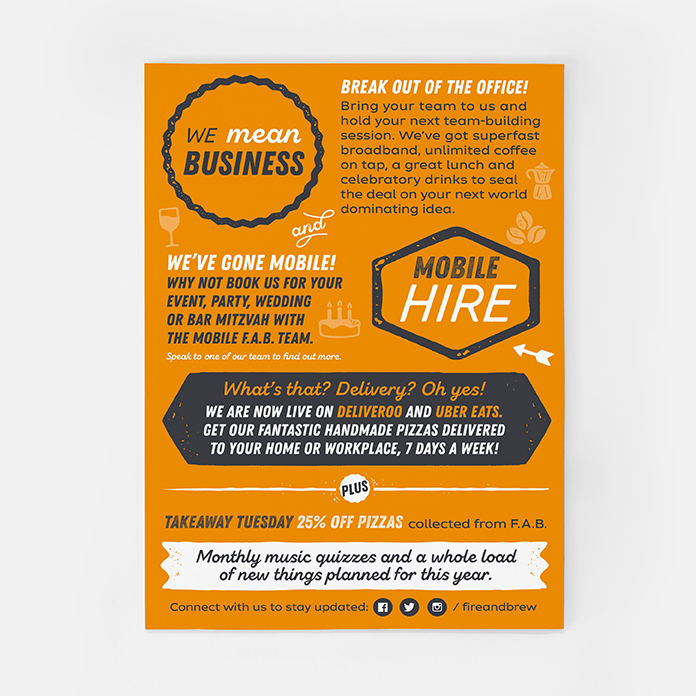 An initial A6 four-page table talker was designed, which was also resized into four separate window posters and square-format jpegs for Social Media. 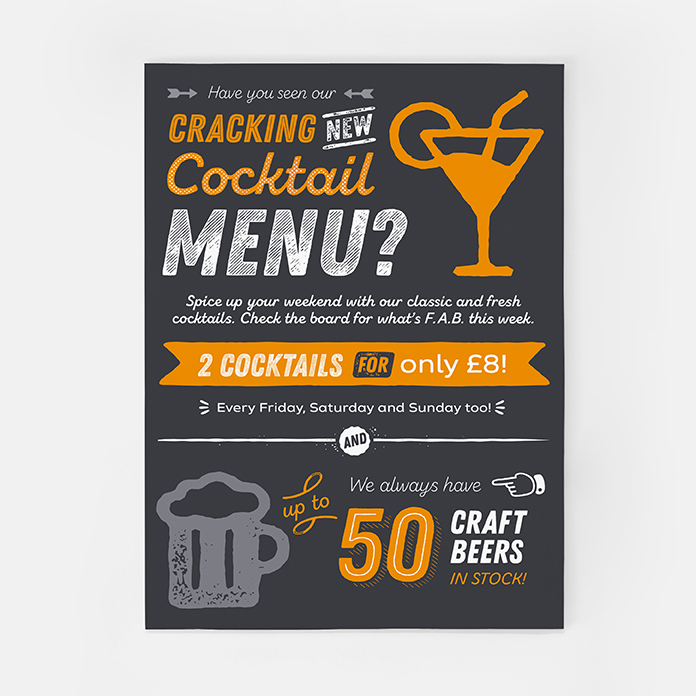 Make sure to check out their new Cocktail and daytime menu if you’re in town!